Go back in time and experience epic adventure in this Viking-themed video slot with 5 reels and 20 wins both ways payline. The Wild Nords online slot also offers 3 wild symbols that each triggers a re-spin and a special extra. Playable on all mobile devices and desktops inclusive, this slot game has absolute excitement especially for gamblers that love epic adventures. Get more information about this slot as you read along. Having of a typical Vikings homestead design, the symbols of the slot includes a three wooden shield with an animal motif, a Norse style A to 10 playing cards and the bear which rewards you 300 coins if you hit a 5 on a payline. There are mainly 3 wilds in this video slot. Now if you land 3, 4 or 5 on the paylines, these wilds can become standard symbols and reward you with a payout of 30, 100 or 300 coins. Astrid: Also known as Nords of the Eagles transforms the eagle shield symbol into a wild after which a respin is awarded. Bjorn: the Nords of the bears’ feature changes the bear shield symbol into wilds, locks it in and rewards you with a respin. Rolf: Rolf, which is the Nords of the Wolves feature changes wolf shield symbols into wilds and then rewards you with a respin and sticky wilds. In addition to these, you can trigger the Animal feature when the Nords of the Animal appears. This feature can match high-value animal symbols on the reels and create a winning chance. 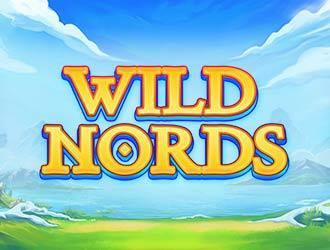 The Wild Nords slot has a good potential for big wins even up to 1000 times your bet per spin. Wagers can start with a minimum of 20 pence per spin to as much as £500 per spin for high rollers. This epic Viking-themed slot is growing in popularity amongst the most avid gamblers. Even though the Wild Nords have no Free Spins feature, the respins still appear well enough to reward a decent payout as well as fun game time!